The Eutelsat 25B communication satellite was launched on 29 August 2013. Image courtesy of Space Systems / Loral. The Eutelsat 25B satellite was transported to the launch site located at the European spaceport in French Guiana in July 2013. Image courtesy of Space Systems/Loral. The satellite features 32 Ku-band and 14 Ka-band transponders. Image courtesy of Space Systems/Loral. The satellite is based on the LS 1300 platform. Image courtesy of Space Systems / Loral. An artist’s impression of Eutelsat 25B satellite. Image courtesy of Space Systems / Loral. 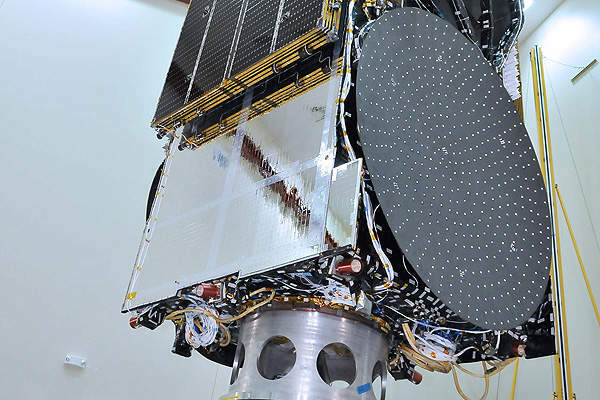 Eutelsat 25B satellite is a high-power, multi-mission communication satellite, which was jointly developed by Eutelsat and Es’hailSat from Qatar and manufactured by Space Systems/Loral (SSL). The satellite was launched into the geostationary earth orbit (GEO) orbit on 29 August 2013. It is positioned at 25.5° east orbital location and replaces Eutelsat 25C satellite which was placed at similar location. The satellite provides broadcasting, telecommunications and government services in Ku and Ka-bands covering the Middle East, North Africa, and Central Asian regions. "It is positioned at 25.5° east orbital location and replaces Eutelsat 25C satellite which was placed at similar location." 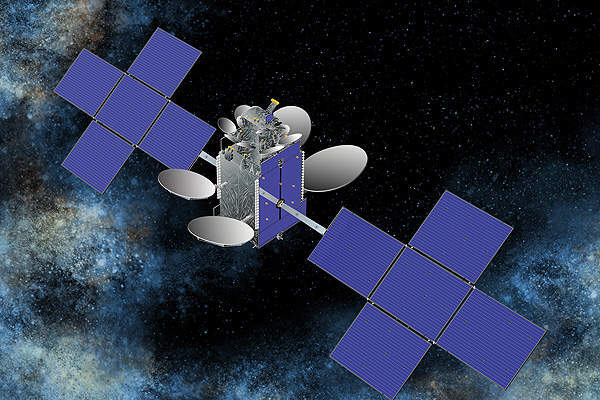 The design and manufacturing contract for Eutelsat 25B satellite was awarded to SSL in July 2010. 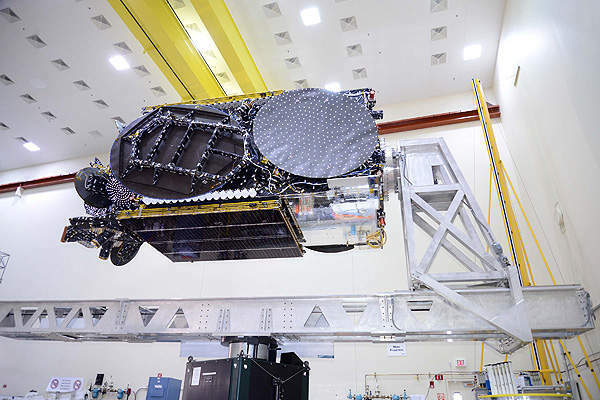 The satellite was manufactured at SSL’s Palo Alto factory located in California. The satellite features four steerable spot beam antennae. It also includes four deployable reflectors with advanced command and telemetry capabilities. The satellite has a launch mass of over 6,000kg and is designed to provide services for over 15 years. Eutelsat 25B was transported to the launch site at Kourou, which was located at European Spaceport in French Guiana, on 29 July 2013. 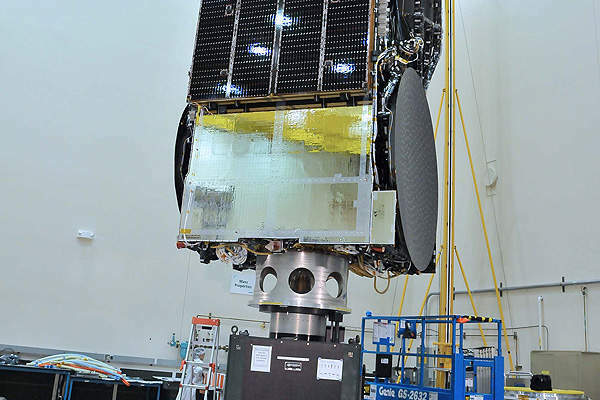 The satellite was topped off in the S5A fuelling and integration hall of S5 payload preparation facility in August 2013. It was launched into the orbit on an Ariane 5 vehicle by the end of August 2013. 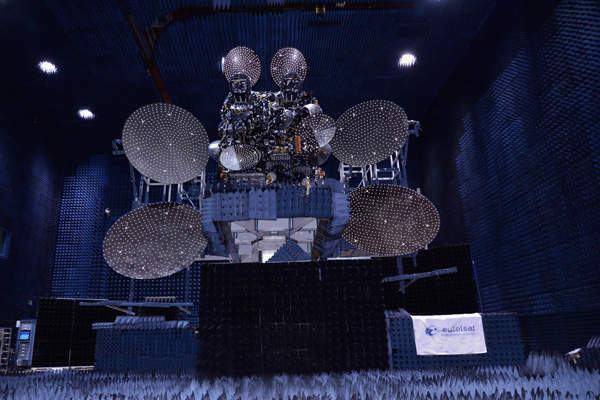 The Eutelsat 25B satellite was based on the highly reliable LS 1300 platform produced by SSL. It is a proven platform which offers the flexibility to support a broad range of applications. The LS-1300 platform was first introduced in 1980s. The satellite bus has lightweight and robust structure. It is equipped with a fuel-efficient attitude and station keeping thrusters, batteries and modern command and control systems. The total satellite power ranges between 5kW and 12kW throughout its lifespan. 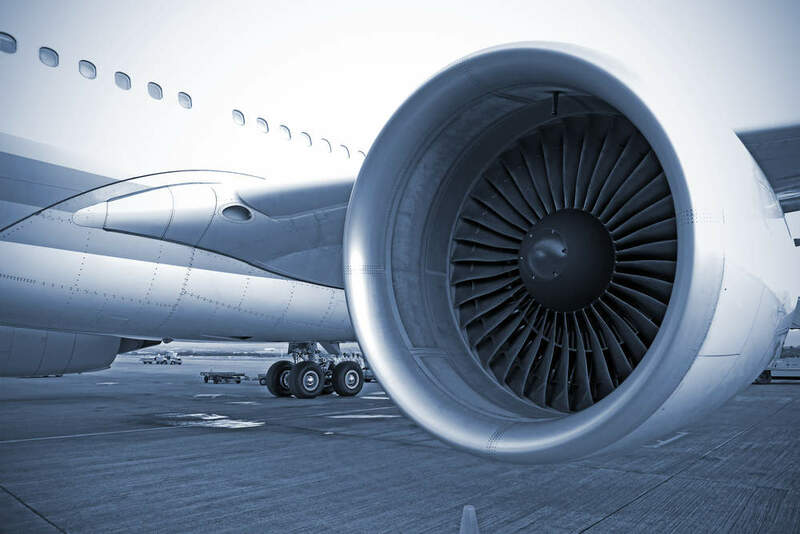 It can accommodate more than 70 active transponders, and over 5,000RF watts on-board transmitter power. The satellite was launched aboard Ariane 5 ECA rocket manufactured by European Space Agency (ESA). The satellite launch operations were carried out by Arianespace. "The satellite has a launch mass of over 6,000kg and is designed to provide services for over 15 years." The launch mission included lifting two satellites including the more than 6,000kg Eutelsat 25B and the 2,550kg GSAT-7 satellites manufactured by Indian Space Research Organisation (ISRO). The launch was completed on designated flight VA215 from the Guiana Space Centre, located in French Guiana. The satellite system includes 32 Ku-band and 14 Ka-band transponders. It provides video broadcasting, corporate networks, government services and IP broadband access to the Middle East, north Africa and central Asian regions. It offers television services for over 13 million satellite homes already equipped for DTH reception. Eutelsat has two main satellite control centres, which include a satellite control centre (SCC) and a communications system control centre (CSC). The SCC controls and monitors all the satellites, while the CSC monitors all the services transmitted over the satellites, which include analogue and digital video, business and IP services. The SCC and CSC work around the clock to ensure highly reliable services. Eutelsat also has three teleports located in France and Italy, which offer the highest technical and security standards and a full range of broadcast, communication and data services. ASTRA 2E is a communication satellite developed for SES. The satellite is scheduled to be launched into the Geostationary Earth Orbit (GEO) orbit on 21 July 2013. Satmex 8 communication satellite was launched into geostationary transfer orbit (GTO) in March 2013.